There was an article about a year ago that said Bayer was looking at a mixed-use project for the Pizitz building. Obviously, the plans with Sloss Realty to convert it into about 100-condos fell through. But they said a year ago that they were in some discussions about a project. Since then, I've heard nothing. I know they're very busy around town (and out of town) with developments, but I'd love to see them get something going with Pizitz soon. It's a key site in the redevelopment of that whole area stretching from the City Federal down along the Alabama Theatre and Lyric Theatre and on down to Leer Tower. So if it were you, what would you do with it? To me, it doesn't really have the ideal structure of a condo building. Maybe a hotel? Maybe office? Or maybe return it back to its retail origins? floor leased for restaurants and retail ? that really sticks out like a sore thumb is the Ford dealership. I remember going to Pitiz's when I was a kid. It was such a great building...store...Christmas time was the best. I would love to see the ground floor go back to a department store. However, I think the building would make really cool artists lofts.....bigger than traditional loft space. Perhaps the ground floor would be the gallery space for the artist. The store provided so many vivid memories....and stirred our imaginations.....I think art would be a good recreation of the space. I've heard rumors that the Pizitz family was considering bringing the Pizitiz Department store back to life (but you know how rumors are...). It would be cool for them to open a much smaller version in the original building and then the top floors could be a hotel or condos. This is such an awesome building - you're super lucky to still have it standing. That would be awesome! However, I would much rather see them have a limited expansion of the Gus Meyer chain to open there instead. In the future there will be a sustainable base residents with higher incomes located in the downtown lofts and condos to have it there. Well I certainly hope there's truth to that rumor. Where'd you hear that rumor from? I read it in some industry mag online. The story said they'd redisgned the Pizitz logo but only went on to speculate if the store would be making a come back- this was after the Parisian sale to Belk. Who knows if it has any validity whatsoever. I agree with the person above about Gus Mayer. That's a name that could become great - downtown Nashville could use a mini-dept store like that as well as Charlotte and Atlanta. Whatever the case, I hope something happens to the Pizitz building soon. I think it'd be good, based clearly on its past, to be developed into some sort of downtown department store. But if not, I believe it could make a great hotel...especially with where it's located... JMO. I don't know if anyone has reported this or not. 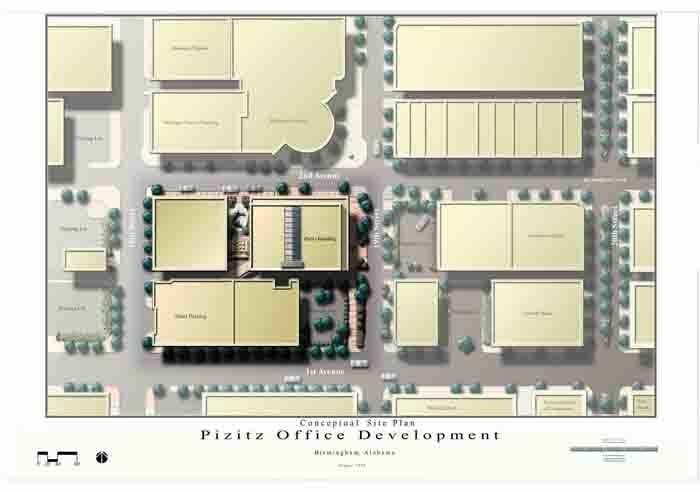 Bayer properties is starting to work on plans for the Pizitz Building. The builder is bidding out work for it already. Plans call for two floors to be added to the top. The first 3 stories will be retail, then a couple of floors of office space, then residential occupying the top floors and the two added floors. Plans call for a cafe, also bayer is in talks with Publix about a mid sized urban market in the first floor. I've seen the design and I'm not impressed with the look of the added floors, they are very modern but seems they need some more thought in order to tie it in with the old. ^That's exciting news. Any chance we can get a peek at those renderings? That's great! Bayer has been basically sitting on this nest egg way too long, but I guess they were anticipating the City Center revival just as we all were. It good that Publix is considering opening an urban market in an already existing building rather than building one from scratch. I hope I get a chance to see this design also. Did you know bayer only paid $1,000,000 for the building and its parking deck. No, I didn't know that, but I'm not surprised. That would explain why they sat on the property so long. tedo... do you or someone you know work for Bayer? Only reason I ask is that you seem to have pretty detailed plans about this and I have yet to hear/read anything official about it. It's certainly great news, though. That will be a prime piece of real estate in a few years once more happens with the Theatre District and the Railroad Reservation Park. Has anyone ever been to Indianapolis's Circle Center Mall in Downtown? It is comprised of several city blocks worth of old buildings that were converted into a mall (some new construction/moving of facades, skywalks, and lots of underground parking, etc was involved). Here's a link to the old project website. Wow... thanks for the link. The "old project" is still "new" to me. Somehow I never saw that one either. I really think this property has a lot of potential and am looking forward to seeing something in the papers about this. How far away do you think they are from announcing anything officially or releasing renderings in the paper? Pretty soon we should see something in the papers, maybe around the 1st of August. Keep in mind though when Bayer does something they move pretty fast, once they finish the 280/condos/whole foods project, they will most likely go ahead with Pizitz. But I have a feeling it will be hush hush for a while and then the marketing will come out with a bang to create publicity/excitment for the entire project. 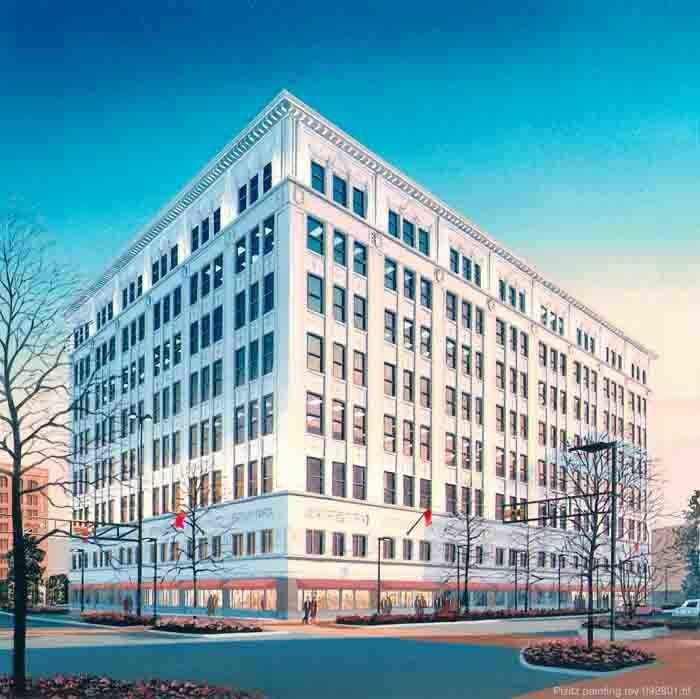 Update: Bayer Properties submitted renovation plans to the U.S. Department of Interior to try to qualify for historic building tax credits. If approved, work could begin in early 2009. Bayer's plans call for ground floor retail and office space for the rest of the building. I'm surprised that residential units weren't mentioned, but retail on the ground floor and offices above sounds good. After the Leer Tower foreclosure, most developers are playing it safe with the downtown residential unit market until economic condition improve across the board. The design has been approved and Bayer Properties is working on completing financing for the $57 million project. V. Richards plans to open a grocery store, cafe and restaurant in the ground floor of the building.